New B3 Jacket, but which one? 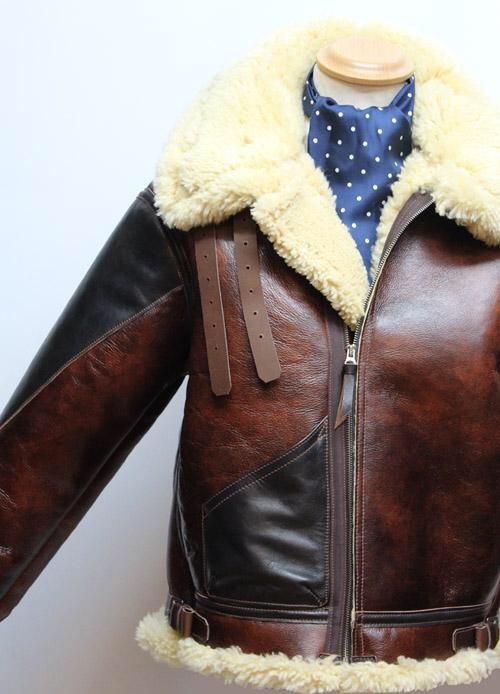 Discussion in 'General Flight Jacket Discussion' started by riopaulf, Jan 17, 2019. Otter, s4rmark and riopaulf like this. Stanier, sweet looking D-1! How long have you had it? Damn it! It’s all so confusing. I love them all. Looking again at the B-3 and the USAAF version at the Aero site. Really gorgeous. Is the co figuration Redskin with accents of seal brown? Whose got a picture of themselves wearing an Aero B-6, guys? to wear all day long. Warm enough for almost all winter weather here in the Smoky Mountains. Happy Hooligan, Thomas Koehle, D97x7 and 7 others like this. Great fitting B-6, the sun really accentuates the redskin. Very nice. riopaulf, Southoftheborder, Otter and 1 other person like this. Thanks Grant! I’be had it 10 or so years. I got it from the ELC tent at Flying Legends I think in 2007. It’s got Crown zips on; I think now ELC use Kwiks. The “paint” or whatever it is they use to make the outer surface brown is just a little worn on the underside of the cuffs, and there’s a couple of worn spots on the edge of the fleece with more than a bit of LVC indigo dye round the waist area, but other than that as good and warm as the day I got it! I love those Aero B-3’s. The only thing to my eye, is that the horse arm panels seem very straight edge and triangular shaped compared to other makers, but that could well be my eyes! The fleece and surface looks incredible though, much better than ELC. I’d love to see some detail pics and understand the horse arm panels better. Thanks for the kind words Mark. What size is it Chris ? To be honest, for a wearable winter jacket I would go with a B-6 or D-1. In my opinion B-3's are too big for every day use. Southoftheborder and riopaulf like this. Is either the D1 or B6 fur lined throughout, Steve? As much as I love mine, you're right, they do take some dedication to wear. Something which I personally seem to like. I love my D-1 which is an ELC, though if I were buying one now I’d probably go for the Aero Redskin D-1. Don’t underestimate the warmth of a D-1, or I presume B-6. They are well able to cope with all but the very coldest UK days and if, as a driving instructor, you’re hopping in and out of cars you will likely find either jacket too much, particularly if you’re sharing the vehicle with a less warmly clad student and need the heating on! IMHO, a B-3 or Irvin would be out of the question in this scenario, unless you’re giving driving lessons north of Aberdeen in an open top car! Btw, the fleece on an Aero D-1 is slightly longer so the jacket will be slightly warmer than an ELC. If you want a jacket for hopping in an out of cars I’d suggest an A-2 or B-10 and like weighted jackets worn with a long sleeved t shirt or sweater or CPO shirt to tailor for conditions on the day. Just my tuppence worth and hope it helps. Yes, both are fully lined and in my opinion more practical. Mine is a medium Carl. Anyone know if there’s a review of the current Aero B-3 anywhere here? Thanks Ken. I was looking for one with maybe more detail pics and comments, like label, strap thickness and comparison to an original Aero B-3. 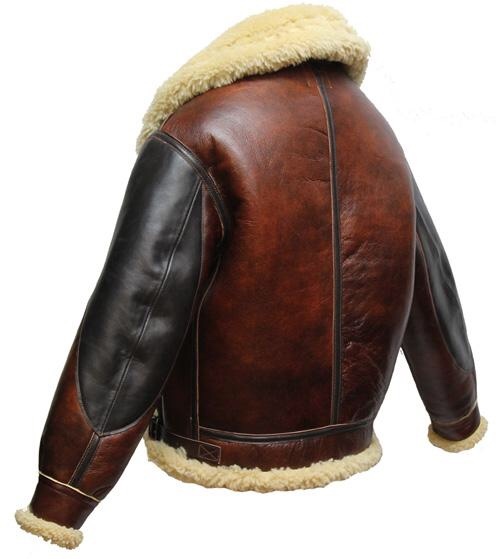 For UK /EU buyers they have to be the best value sheepskins bar none.